Breckenridge loves to celebrate winter! 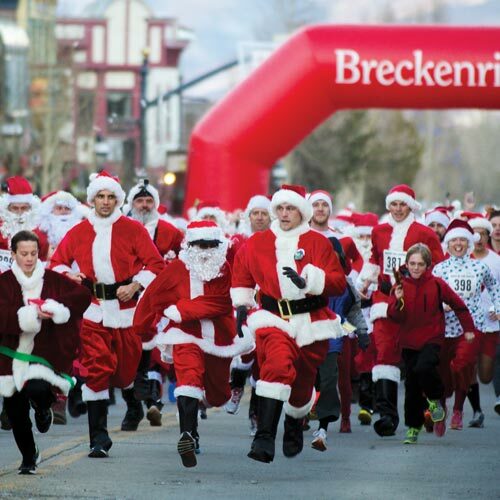 Every year Breckenridge embraces the spirit of winter with a variety of unique and fun events! We have events such as the Dew Tour, which brings together the world’s best skiers and riders to compete in thrilling superpipe and slopestyle competitions; the Budweiser International Snow Sculpture Competition, where 20-ton blocks of snow are transformed into beautiful works of art; and the local celebration of winter, known as Ullr Fest. 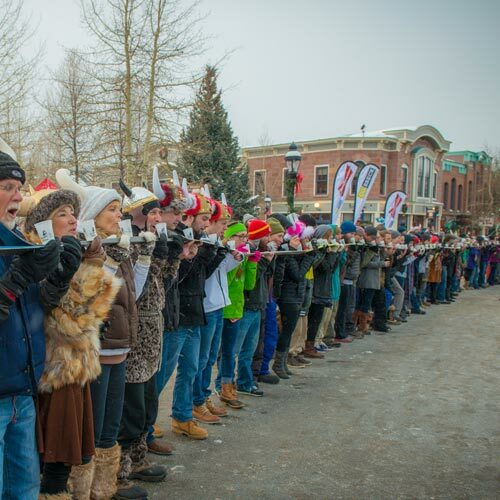 Visit us during a winter event in Breckenridge – everyone is welcome, and you will have the time of your life! Typically the first weekend in December. The Lighting of Breckenridge traditionally starts with free hot cocoa, cookies and caroling at the local Subway, located at 305 North Main Street. Santa arrives around 5 p.m. to lead the procession down historic Main Street to the Blue River Plaza, where he presides over the lighting of the Town Tree. This free, wonderful family event is not to be missed! Also part of the festivities is the Race of the Santas. A newer tradition, each year hundreds of runners dressed up as Santas race down Main Street in hopes of winning prizes. Typically the second week in January. Ullr Fest is Breckenridge’s signature locals’ winter festival. Ullr Fest has been going on in Breckenridge for over 50 years and is a favorite festival for locals and visitors alike. Ullr Fest is a week-long celebration that includes many events, such as the annual Ullr Parade down Main Street in Breckenridge.